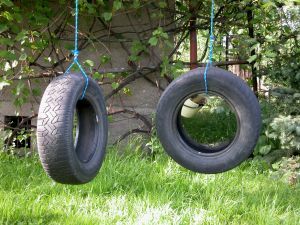 Tire swings are ideal ways to spend a lazy afternoon at your garden, with your favorite book on one hand, and feet off the ground. 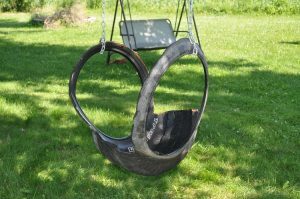 While a gentle swing has a tranquil effect, fast and rapid swings are for an adrenaline rush, like you have never felt before. You can either place the tire vertically or horizontally, but the fun is ensured in both cases. 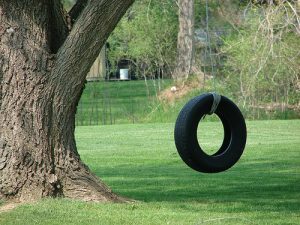 If your place has a garden, utilize a wide branch of a large tree to hang a tire from. 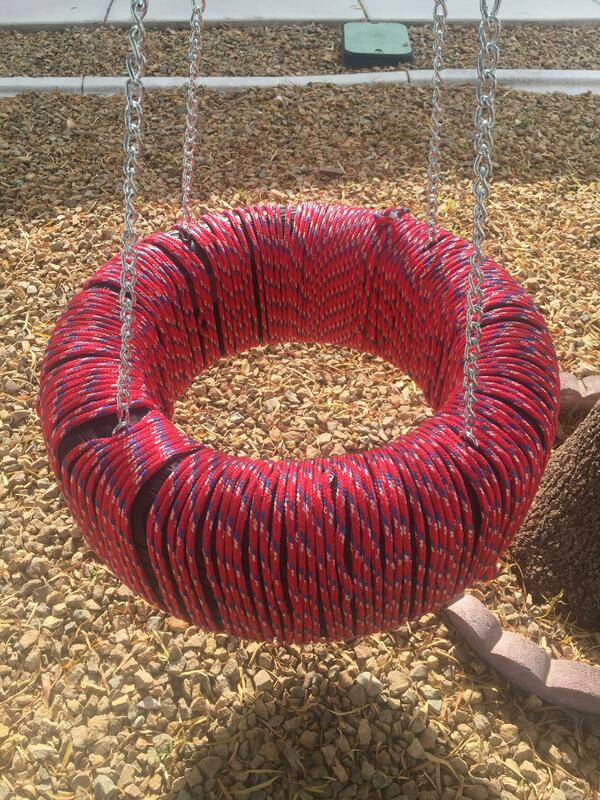 Nylon ropes are sturdy enough to use for this. 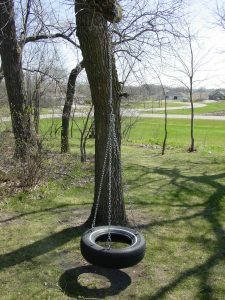 Now, once you are done with one tire swing, suspend a few more to have fun together with your family. 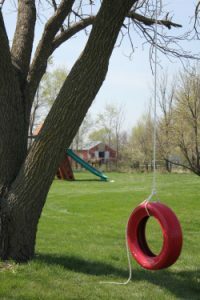 When you use chains, secured with eye bolts, it ensures the much-needed protection from suddenly breaking off the swing. Still, keep it lower if it is your first attempt to make this. How about adding some colors for a vibrant appearance? 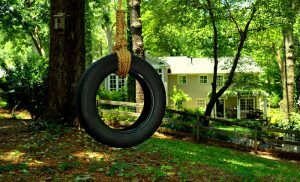 Spray paint or use some waterproof shades, so that the colors won’t flake during rainy days. However, instead of changing the entire get-up of the tire, you can just add a single white border with acrylic paint and finish off with a paint sealer. 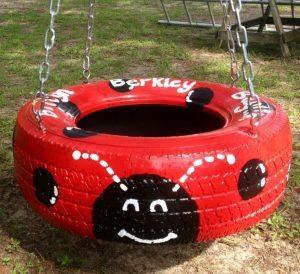 Since recycled tires are affordable solutions, you may use your saved money for painting polka dots on them for a peppy look. 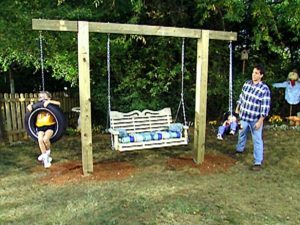 Place two or more side by side so that your kids and their friends can swing together. 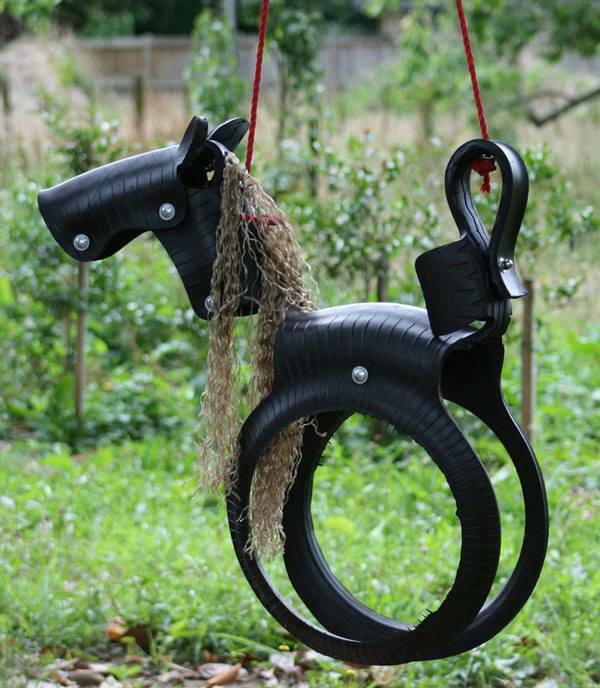 Build a pony out of a tire and see your little one’s happiness. All edges must be smoothened, minimizing the chances of minor cuts. Wrapping a tire with colorful yarns changes its ruggedness instantly. Light shades like peach, pink, white, and beige are likely to fade away soon, but they have an eye-catching look, more than black, brown and other dark shades. When you want both the softness of the rope and the sturdiness of a chain, drill a wide tire and insert rope just as shown in the tutorial. 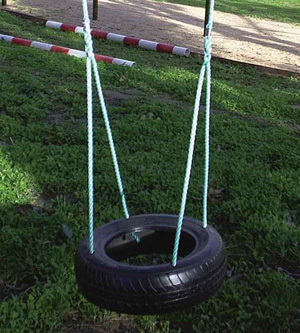 Instead of tying the rope, this is a better way to dangle your tire. Moreover, your kid might hurt himself by the chains if they become rusty. 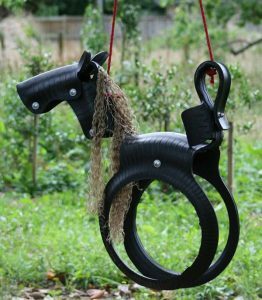 So rope is safe. 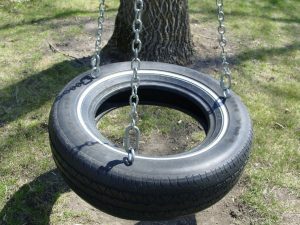 The same tutorial is applicable even if you have a smaller tire. 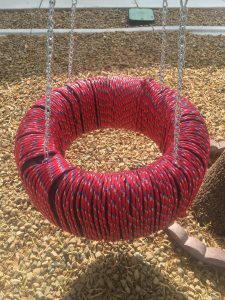 The two strands of rope give you a proper grip and you may rest your back on them. If possible, add a wooden surface by drilling the bottom and place a cushion so the horizontal swing becomes a more relaxing affair. 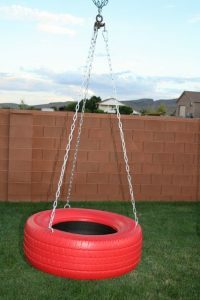 Plastic tires are light, so the process of building one swing with this would be easier for you. Check out the instructions and grab your kits. 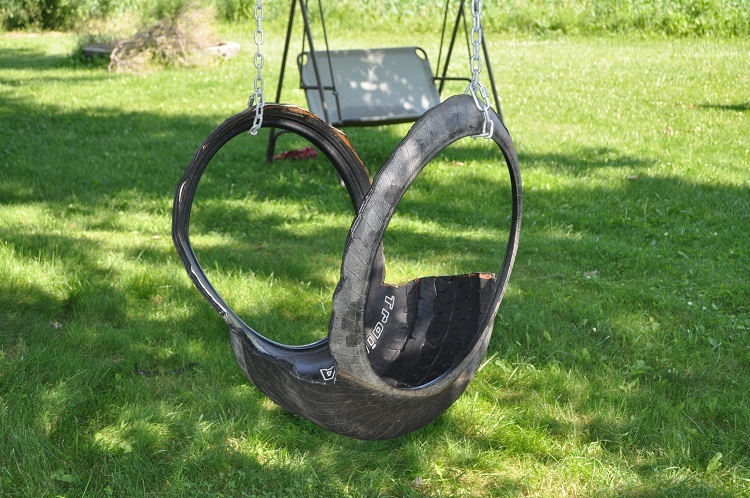 A single tire can be transformed into a chair swing with handles and a surface to sit on. It might sound unbelievable but it is super easy and a fun task too. Following a basic tutorial, you can get such a vertical swing, where you can slip on easily and enjoy the night sky illuminated with starts. 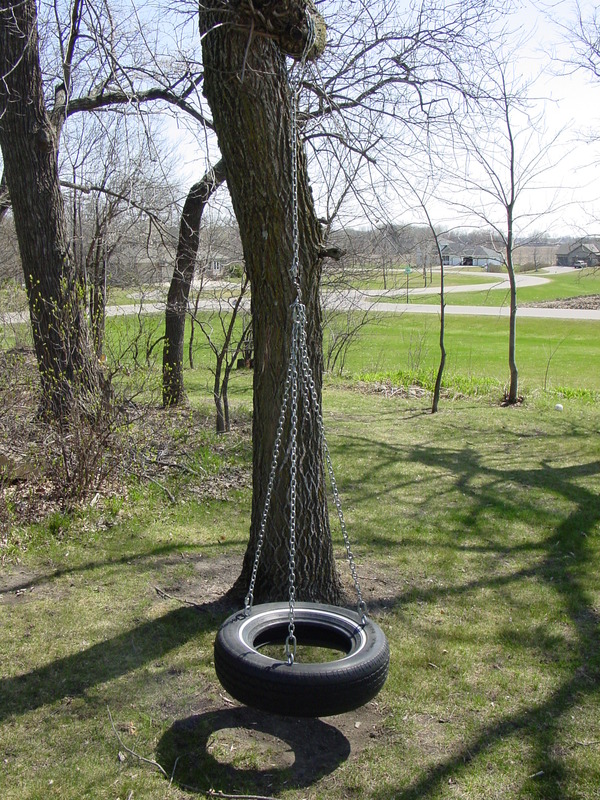 Woss gears make it easier for you to install a tire from a tree. 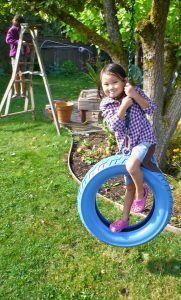 The inexpensive tools are user-friendly as well. 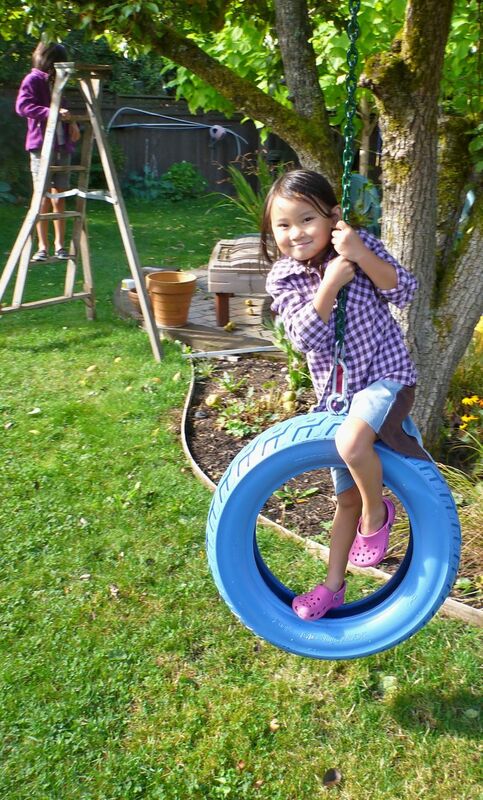 Place a vertical swing beside your porch so that you can always watch your kids while you engross into knitting. 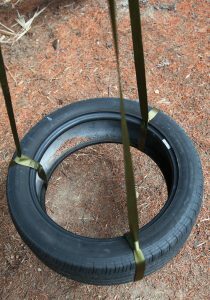 Tie a thick knot like this and hang the tire from a heavy wood tree branch. This tire is like an extension to your readymade swing set. 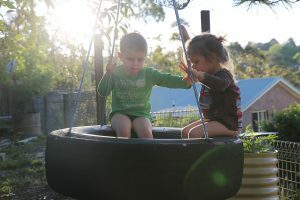 Change your sit once in a while with your partner and enjoy the ride. 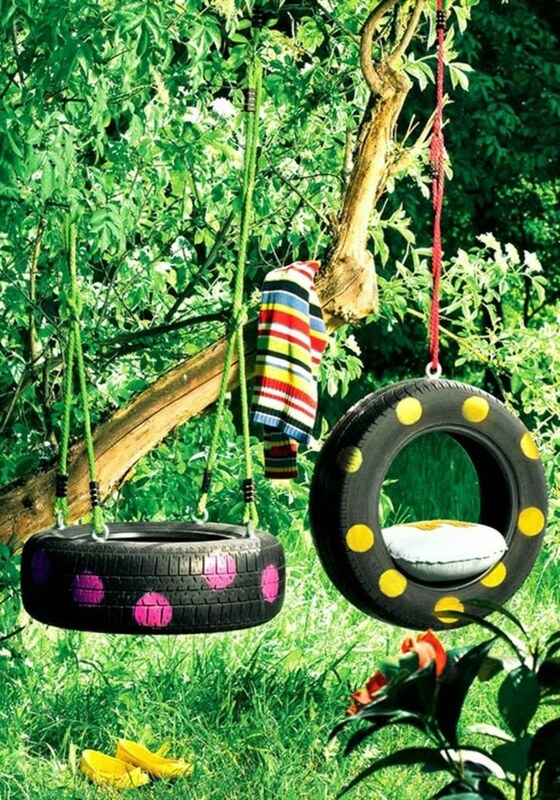 Recycling old objects is a sensible approach towards nature. 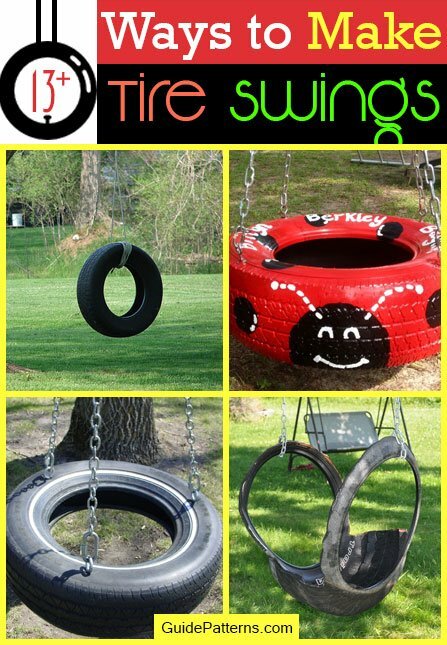 Moreover, making such swings doesn’t affect your budget. 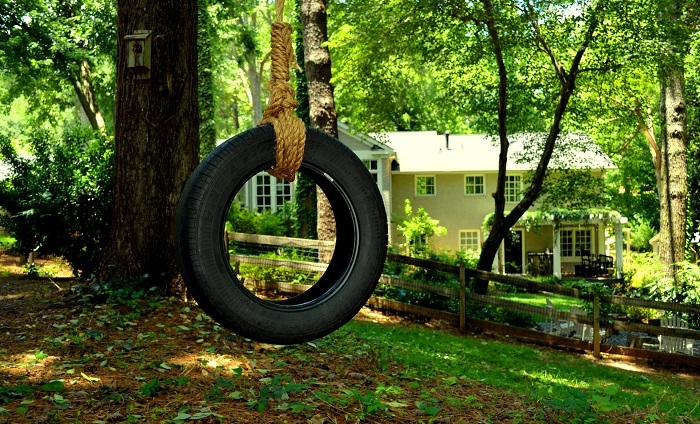 Paint it, hang it, and enjoy your homemade swing.